Pigs take mud baths in wet depressions in the ground to rid themselves of lice and other ectoparasites (unwanted bugs living on their skin). These sometimes look similar to deer wallows. 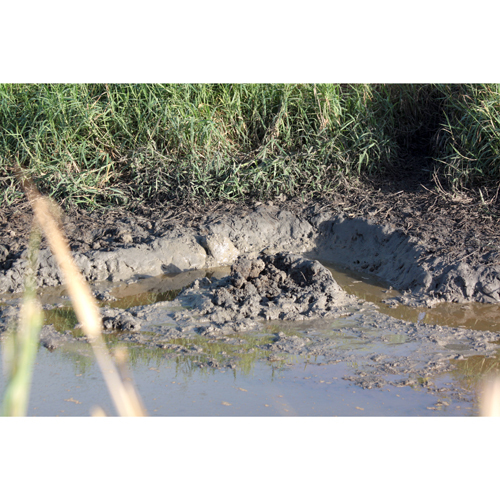 This wallow was in the Townsville area, Australia.